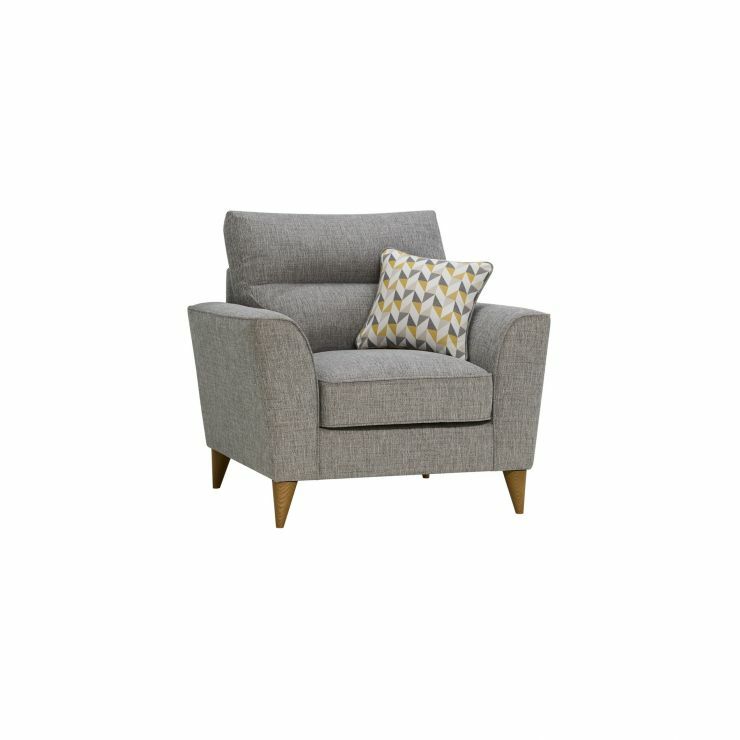 A clean-lined armchair to sit with the Jensen range. 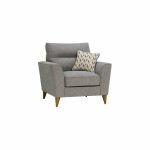 Slim, pale oak legs and cosy, textured Silver fabric upholstery – with Zest accent – give the Jensen a modern, Scandi look. 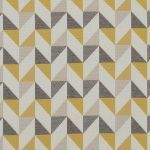 Jensen has three upholstery colours in the set, and a fresh geometric accent pattern in a lemon zest or coral brick shade. Jensen will give you style and comfort at home. 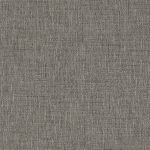 Back and seat cushions are kept comfy with the best use of fibre and foam filled cushions. This is a versatile range with lots of options for making just the right set up for your home. Don't forget the circular footstool for the finishing touch.